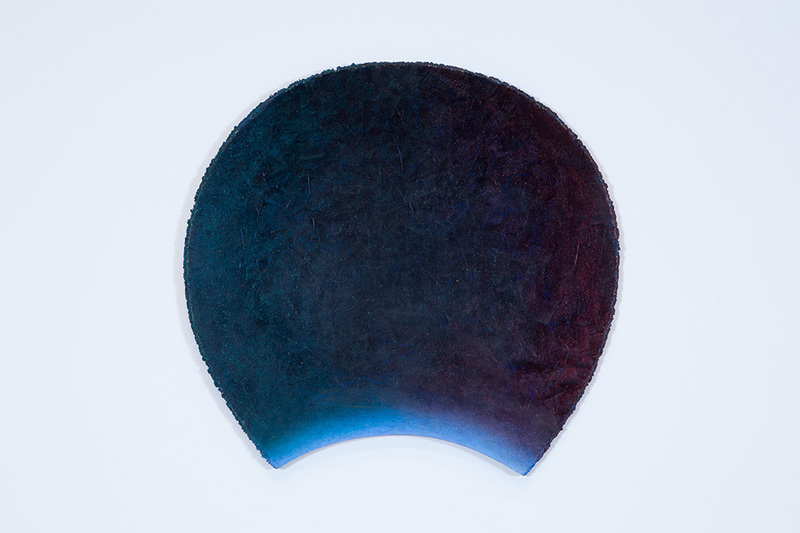 Jochims manipulates his painting supports as much as he does their surfaces. He contemplates each shape and selectively activates its edges by chipping the wood with tongs. 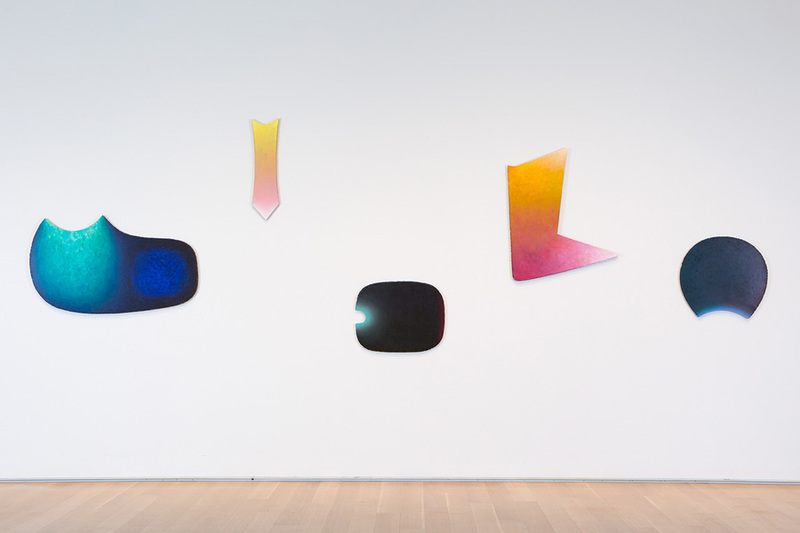 Jochims then patiently chooses color gradations that seem to respond to the particular demands of the form: some shift quickly and dramatically, while others dissolve slowly and subtly. He later adds an open-ended title that does not necessarily relate directly to his source material but may trigger other associations such as cities, ancient cultures, influential artists, and mythical beings. Finally, he selects the placement and hanging height of each individual work according to color, dimension, and orientation. Using a distinctive methodology, Jochims creates new, autonomous pictorial forms with their own intricacies and self-reflexive logic.